MIAMI—Inaccurate and offensive depictions of Native American culture abound and are often so pervasive that the stereotypical portrayals come to be regarded as standard bearers. 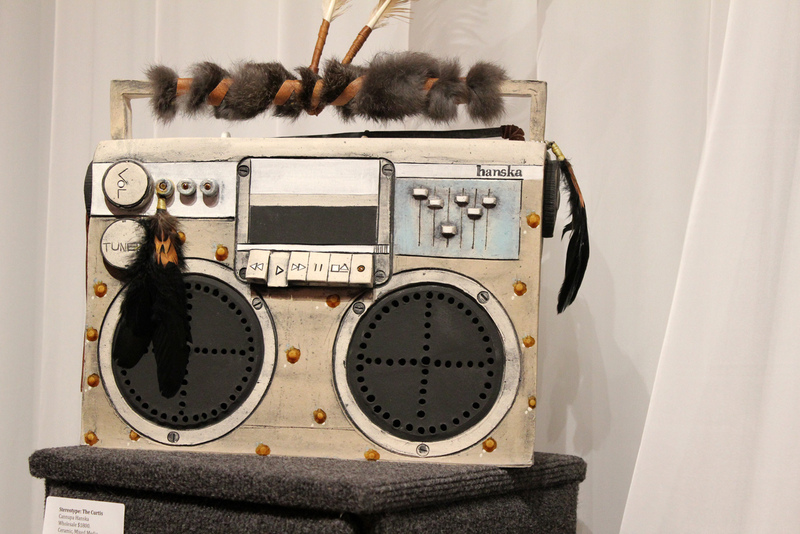 To address Native American stereotypes in pop culture, Cannupa Hanska Luger created a series of boom boxes—painted gems composed of ceramic and adorned with feathers. 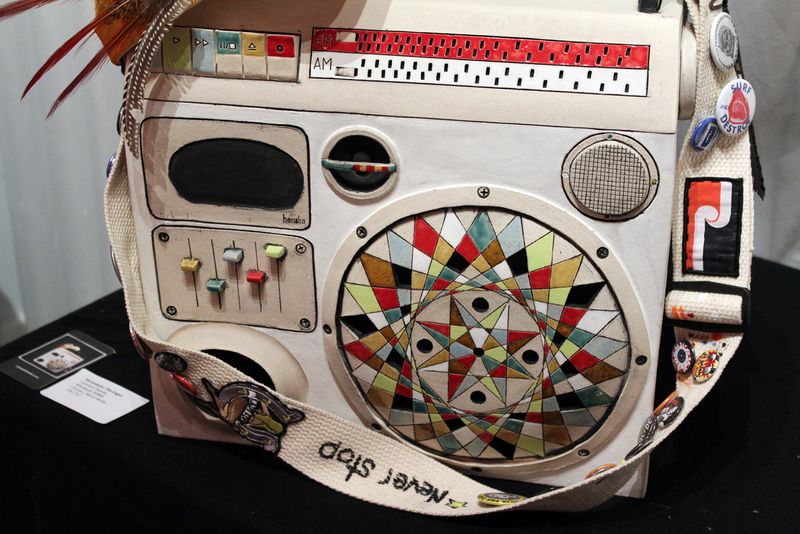 Each “stereo” tells a story, referencing an offensive incident or longstanding assumption, and artfully challenges it. 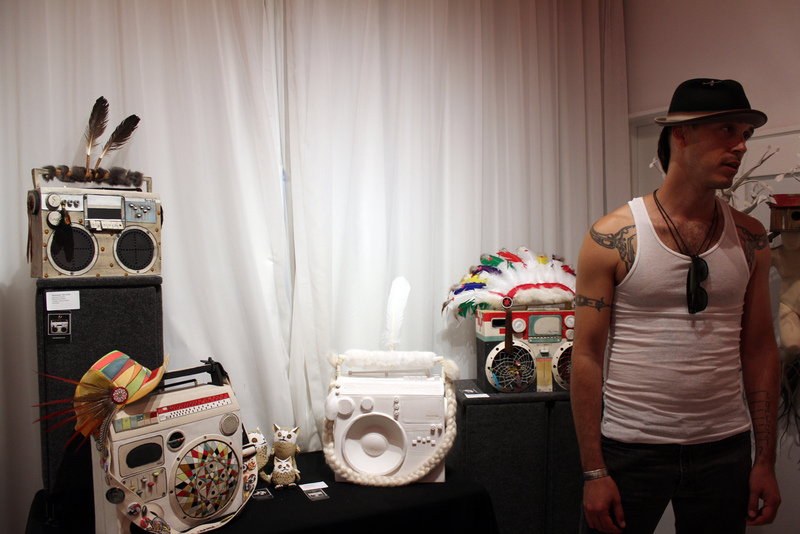 Artist Cannupa Hanska Luger with his “Stereotypes,” including “The Curtis,” at far left, adorned with two feathers sticking straight up. 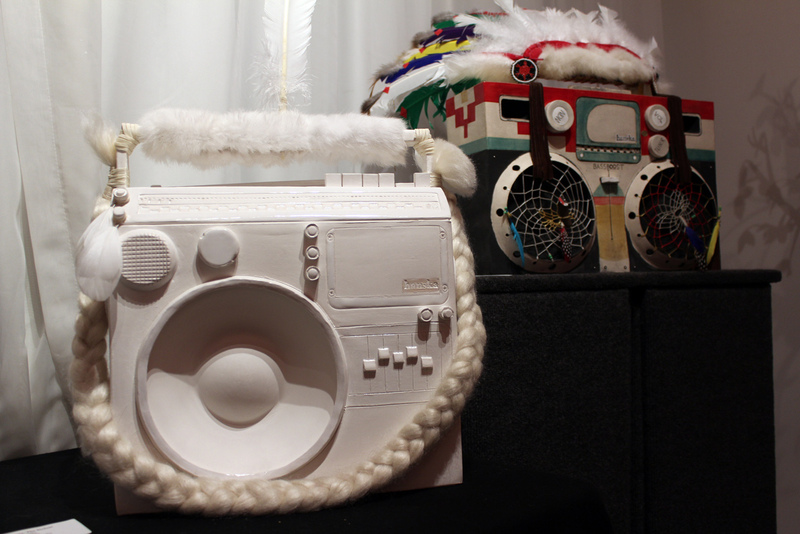 The boom box sculptures along with a series of buffalo skulls by Luger, were on view at Select Fair, the contemporary art fair held at the Catalina Hotel during Art Basel Miami Beach. 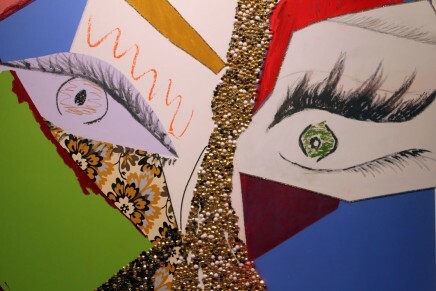 A member of the JCC Collective, Sante Fe-based Luger shared exhibition space at the fair with Jessica Osceola and Jamie Cross, the other two collective members. 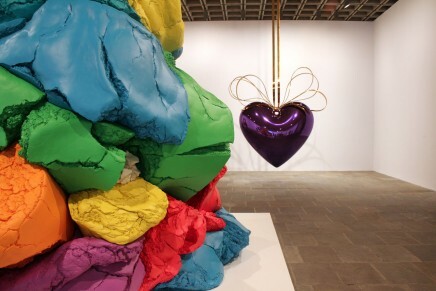 From left, “Stereotype: The Luger” and “Stereotype: The Stefani,” both 2012 (ceramic, mixed-media). 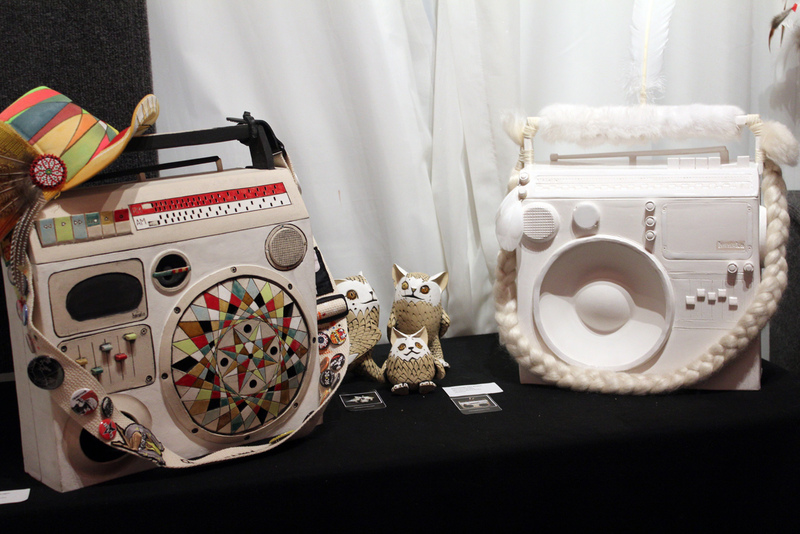 From left, “Stereotype: The Stefani” and “Stereotype: The Barrymore,” both 2012 (ceramic, mixed-media). 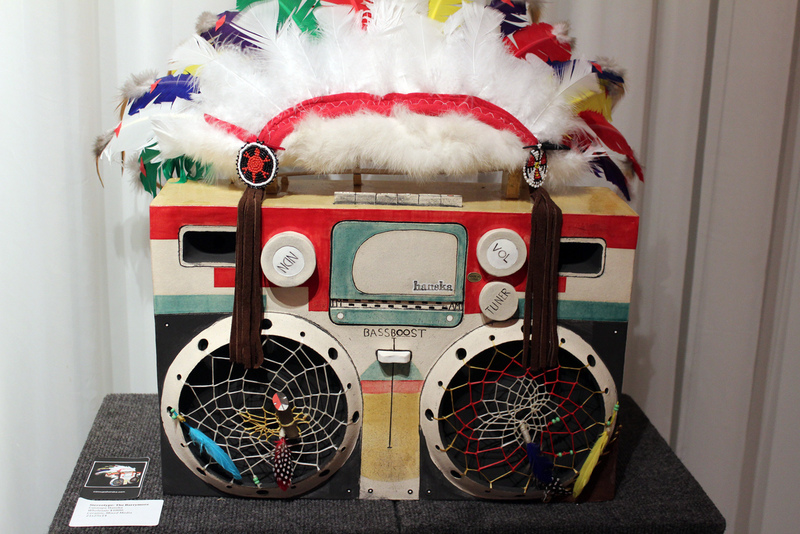 “The Stefani” was inspired by one of Gwen Stefani’s clothing collections that featured stereotypical Native American references. 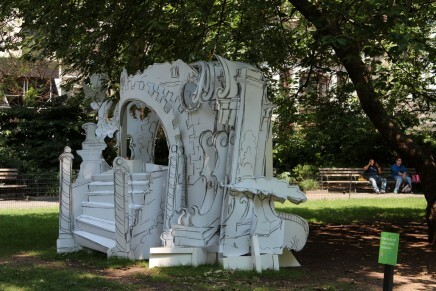 “Stereotype: The Curtis,” 2012 (ceramic, mixed-media).